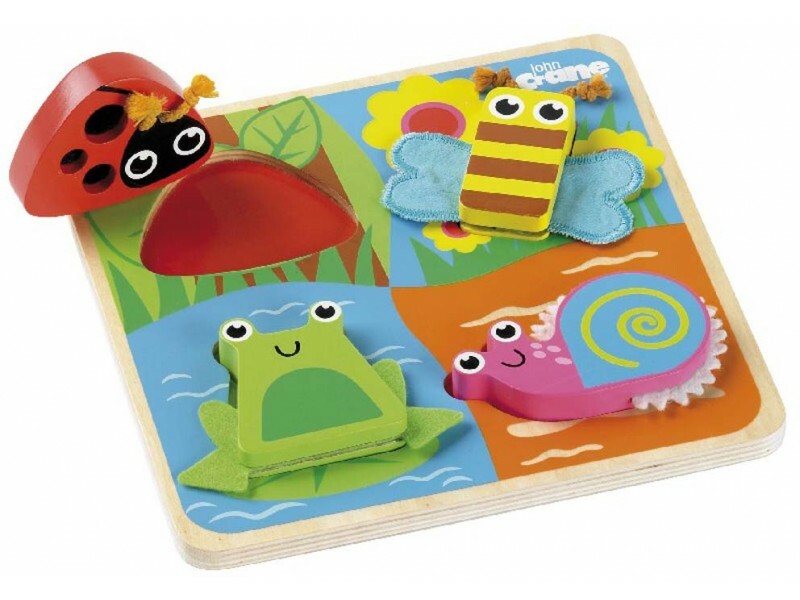 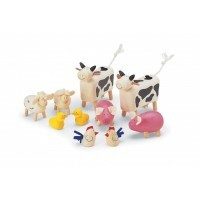 This very cute John Crane Tidlo Touch and Feel Bugs puzzle is an enjoyable and rewarding wooden toy for children aged 12 months and over. 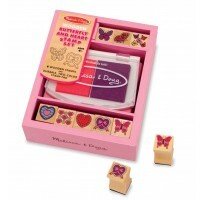 Each of the four bugs in this puzzle has additional fabric parts which encourage children to think about the touch and texture as they try to match each bug with the hollow in the board. 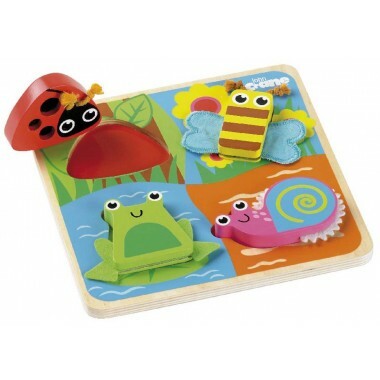 They will also enjoy learning the names of the ladybird, bee, frog and snail which make up this colourful puzzle. 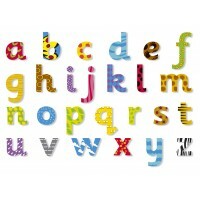 A lovely, colourful, well constructed first puzzle.